Verily there is no purifier in this world equal to knowledge of the Self. No fee charged for each class. Unlimited access for members. No commitment of attendance required to any specific class. Take a free 30-minutes consultation session with me, face-to-face via online to discuss and understand how these classes can help you. Drop me a line today for an appointment. You can email me at yogirakeshnair@gmail.com or use this contact form. This is a group online Life class. Through weekly classes you will be able to participate in a life mentoring program inspired and developed based on ancient Vedic wisdom. The classes combine guided-practices, lessons, discussions and Q&A to guide and help you create a wholesome, balanced and happier life that is true to your authentic self. The life lessons and mentoring provided focuses on inner healing, personal development, empowerment and fulfilment in life. You will learn to alleviate your afflictions and depression. The class allows students to interact and enquire to receive support and guidance to address their life issues. ASEAN Time/Malaysia Time(UTC+8)→ Every Saturday 10.00 A.M. US Pacific Time (UTC-8 / UTC -7) → Every Friday 8.00 P.M. Location: You can attend class from anywhere in the world. It is fully online. 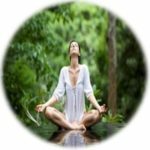 Guided-session: You will learn through guided-sessions; meditation, contemplation, affirmations, relaxation techniques, inner analysis and observation and other mentoring tools to help you exercise the practices in class itself. Lessons: The life lessons are a systematic exposition and discussion of the life mentoring program created by Yogi Rakesh – Rakesh's Life & Happiness Program. The learning emphasises the transformative processes of Jnana Yoga; sravanam (stage of listening – Vedic teachings), mananam (stage of independent reflection - reasoning) and nidhidhyasana (stage of meditation – right cognition and steady awareness). 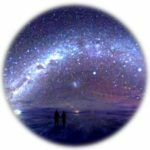 This is a group online Meditation class. Alongside with practical guidance in Self-Awareness meditation, you will learn the philosophy and science of Self-knowledge and non-duality teachings of Advaita Vedanta. Self-Awareness meditation is an ancient form of Vedic meditation. Meditation proper begins with Self-knowledge. Your abidance in meditation grows as Self-knowledge deepens. This class will help you grow in Self-knowledge, wisdom and higher consciousness, and bring about inner transformation, equanimity and happiness. ASEAN Time/Malaysia Time (UTC+8)→ Every Monday 8.00 P.M. US Pacific Time (UTC-8 / UTC -7) → Every Sunday 8.00 P.M.
Guided-session: You will learn through guided-sessions; the Self-Awareness meditation (Vedic meditation). You will gain practical experience using a variety of Advaitic meditative pointers and methods, such as the Sakshi Bhava (witness state), Atma-Vichara (Self-enquiry), Aum meditation and the application of logic and reasoning processes. The guided-session also incorporates yogic practices of asana, pranayama, pratyahara, dharana and dhyana. Lessons: You will be taught systematically the ancient Advaitic philosophical and spiritual texts (Prakarana Granthas) as well as the modern spiritual works of Advaita realised masters, Sri Ramana Maharishi and Sri Nisargadatta Maharaj. The learning emphasises the transformative processes of Jnana Yoga; sravanam (stage of listening – Vedic teachings), mananam (stage of independent reflection - reasoning) and nidhidhyasana (stage of meditation – right cognition and steady awareness). This is a group online Veda class. The Vedas is the highest scripture and epistemic source of Hinduism or the Sanathana Dharma (the Eternal Dharma). It is the world’s oldest literature. The Upanishads, also known as the Vedanta, are the canonical books of the Vedas expounding the established conclusions and axioms of the Vedic sages. The Upanishads represent the highest pinnacle of Vedic wisdom. You will learn systematically the Upanishads and its philosophy, spirituality and practical life wisdom. ASEAN Time/Malaysia Time (UTC+8)→ Every Tuesday 8.00 P.M. US Pacific Time (UTC-8 / UTC -7) → Every Monday 8.00 P.M.
Guided-session: You will learn through guided-sessions; the Gayatri meditation (Mantra meditation) and the Upanishadic contemplative practices. Lessons: You will be taught systematically the ancient Upanishads with discussion emphasising on practical life application. The learning emphasises the transformative processes of Jnana Yoga; sravanam (stage of listening – Vedic teachings), mananam (stage of independent reflection - reasoning) and nidhidhyasana (stage of meditation – right cognition and steady awareness). This is a group online Bhagavad Gita class. The Bhagavad Gita is undoubtedly the greatest and most comprehensive Yoga textbook written in history. The Bhagavad Gita forms an important canon in the Hindu philosophical and spiritual teaching traditions. In the Bhagavad Gita, we discover the highest and comprehensive yogi ideal and way of life, practical spirituality and a holistic balance in the development of all aspects of the human psychology and nature, viz. the physical, emotional, intellectual and spiritual. US Pacific Time (UTC-8 / UTC -7) → Every Tuesday 8.00 P.M. Guided session: You will learn through guided-sessions; the Vedic contemplative practices based on the teachings of the Bhagavad Gita and the Yoga Sutra. These powerful transformative practices will help you create new mental pathways and raise your vibration to your higher potential. 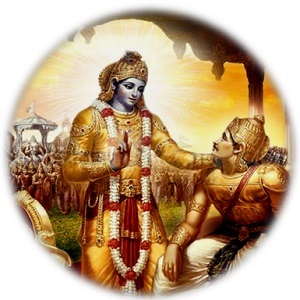 Lessons: You will be taught systematically the Bhagavad Gita with emphasis on practical life application. The learning emphasises the transformative processes of Jnana Yoga; sravanam (stage of listening – Vedic teachings), mananam (stage of independent reflection - reasoning) and nidhidhyasana (stage of meditation – right cognition and steady awareness). No fixed commitment required for attendance to any particular time slot. Students are free to choose to attend any class at any given time and change class preference anytime. No attendance record taken. All classes listed above are conducted through a live interactive online platform using the Zoom application. You will be able to see, hear and speak to the teacher directly during classes from the comfort of your own home. If you live outside the time zones listed above and the class timings do not suit you, you may write to request new class timings here. New sessions will be considered for small group of students. You may subscribe and start classes anytime. You may unsubscribe and stop classes anytime. You may attend any number of classes that you are interested (unlimited access). Rakesh Nair (Yogi Rakesh) & Innerlife Inspire reserves the right to change the schedule and to add/remove/cancel the classes anytime. Private one-to-one classes with Yogi Rakesh is available outside the above class timings. Please email to yogirakeshnair@gmail.com if you have any enquiries on the above online classes.